The Iron Dog is still operating without a title sponsor, but the new executive director of the snowmachine race across Alaska hopes to raise some money by tempting you with some swampland in Florida. Well, not swampland and not Florida. More like land atop the epicenter of the Nov. 30 earthquake. This year’s top prize in the annual Iron Dog raffle is a tiny home — also known as a cabin kit — and a half-acre of land to put it on. The cabin is 12x16 feet and the land is south of Big Lake. You can check out its approximate location on U.S. Geological Survey maps of the 7.0 quake. “It’s right below that big red pin that denotes the epicenter of the Nov. 30 quake,” Iron Dog executive director John Woodbury said this week by email. The land was donated in October by Johnson Investments, Woodbury said. Only 5,000 raffle tickets will be sold; they cost $60 and are on sale until April 2. Woodbury, the owner and publisher of Coast Magazine, became the Iron Dog executive director in October. He was hired about two months after the race’s board of directors voted to stage a race this year despite shaky finances. “The rumors of our demise were greatly premature,” Woodbury said, “but there are some real financial realities. 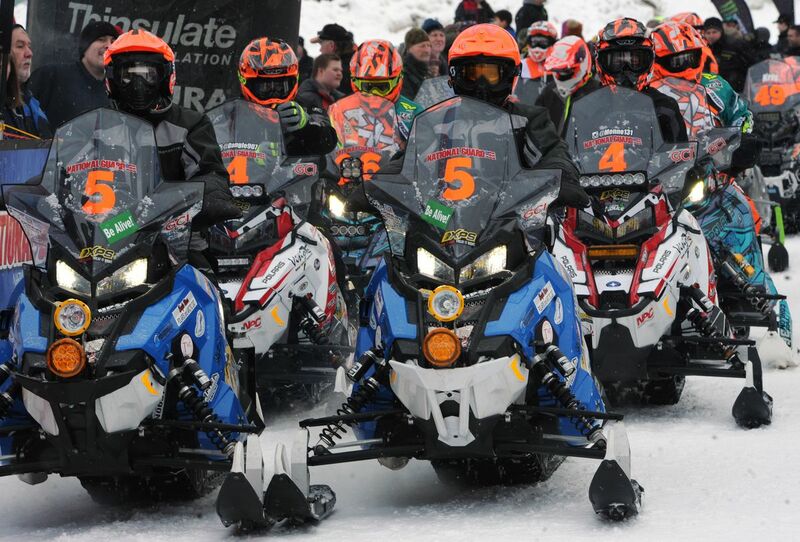 While no one has replaced the Alaska National Guard as the race’s primary sponsor, Woodbury said longtime sponsors like Northern Air Cargo and Donlin Gold are still on board. And money is coming in from other sources, he said. 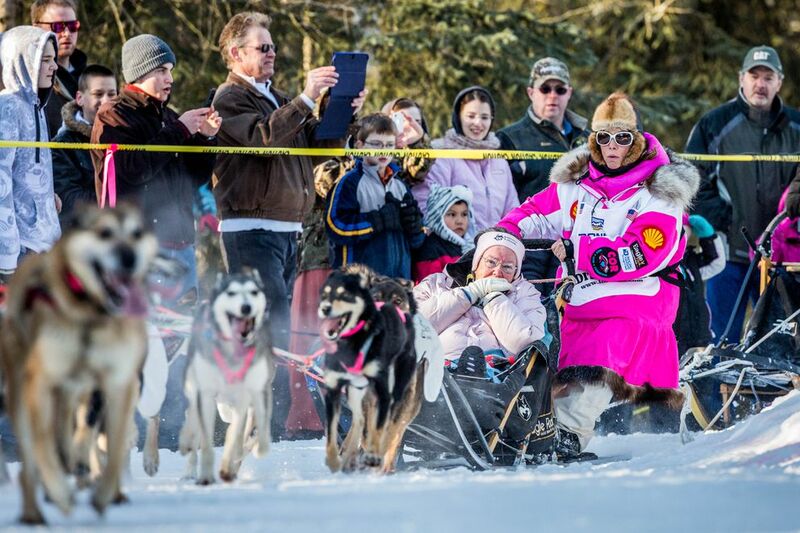 Woodbury and the board of directors decided last week to move the start of this year’s 2,000-mile race to Deshka Landing, where racers on Feb. 17 will begin their journey to Fairbanks via Nome on the Susitna River. Usually the Iron Dog starts at Big Lake, but the combination of a late freezeup and the Nov. 30 earthquake has left the lake ice potentially unstable. The weight of dozens of snowmachines and thousands of people would be added to that ice during an Iron Dog start. “It just boils down to safety,” Woodbury said of the choice to move to Deshka Landing. Matt Thomas has gone from fired to feted as a hockey coach. 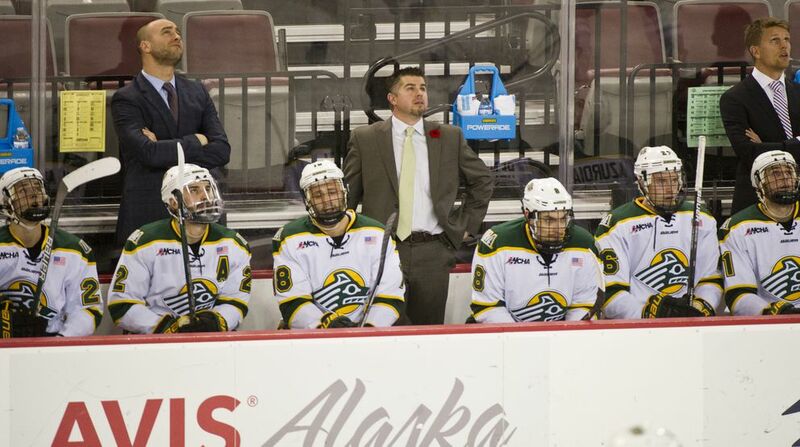 UAA decided at the end of last season not to keep Thomas as its hockey coach. In five years with the Seawolves he was 48-105-21, including 4-26-4 last season. Thomas found work as the coach of the Cincinnati Cyclones of the ECHL. On Monday, he’ll be at the ECHL All-Star Classic in Toledo, Ohio, as the head coach of the Western Conference All-Stars. Thomas earned the honor by coaching the Cyclones to the top winning percentage in the conference. At the time of his selection, Cincinnati was 23-7-2-2 for a .735 winning percentage. Meanwhile, winning proves to be elusive as ever for the Seawolves, who are 2-19-1 under new coach Matt Curley. Iditarod fans have until noon Friday to make a bid to ride in a musher’s sled during the March 2 ceremonial race start. Still up for grabs in the annual Iditarider auction: reigning champion Joar Leifseth Ulsom and three-time champion Mitch Seavey. As of Thursday afternoon, the bid to beat for a ride in Ulsom’s sled was $2,000; for Seavey, it was $1,300. Eight mushers are already off the table after being sold for $7,500 — the price of an instant buy in the online auction. That group includes a trio of four-time champions — Jeff King, Lance Mackey and Martin Buser. Also gone are Nic Petit, Aliy Zirkle, Matthew Failor, Shaynee Traska and rookie Blair Braverman. Another five mushers aren’t on the auction block at all, including one who was banned from the 2017 race after facing multiple domestic violence accusations in 2015. Travis Beals of Seward was welcomed back in 2018 and finished ninth in last year’s race. Other mushers not on the auction block are Seth Barnes of Willow, Marcelle Fressineau of Whitehorse, Mikael Jutila of Finland and rookie Sebastien Dos Santos Borges of France.